Occasionally, the TV news goon finds himself in a space filled with people, and has to randomly select potential interview subjects from the crowd. This happens in shopping malls. It happens at ballparks. It happens at airports. My latest brush with it was at Hartsfield-Jackson. It was a lesson in humility, a subject in which TV news provides continuing education.. 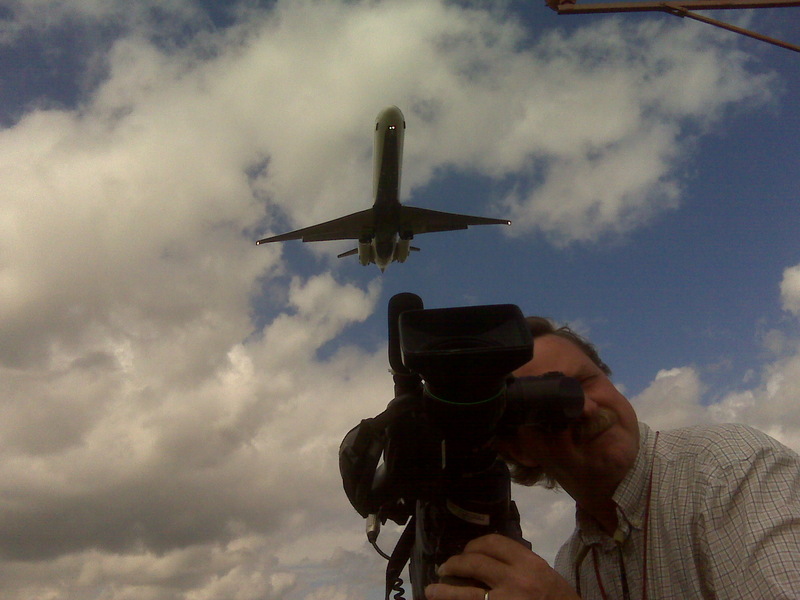 The easy part was finding the spot outside the airport, where incoming aircraft fly directly overhead. The video is generic, but necessary given the limitations of the visual opportunities inside the terminal. The fun begins when trying to strategize our positioning indoors. 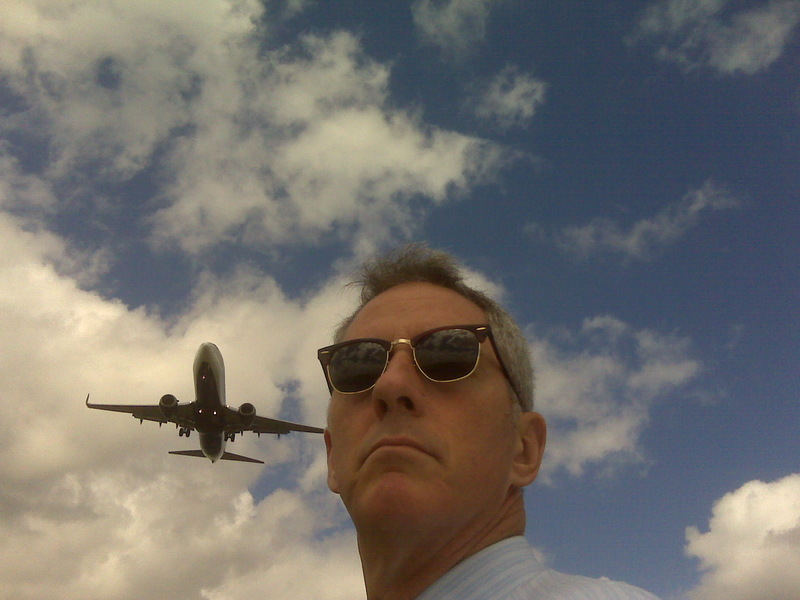 I wanted to talk with businessmen / women, folks who might have anecdotes about air rage. Thus begins the profiling. I avoided the baggage claim area which, I reasoned, would be mostly clogged with tourists (though an exception is the oversized baggage area, where men can claim golf clubs. Golf clubs are routinely carried by salesmen). 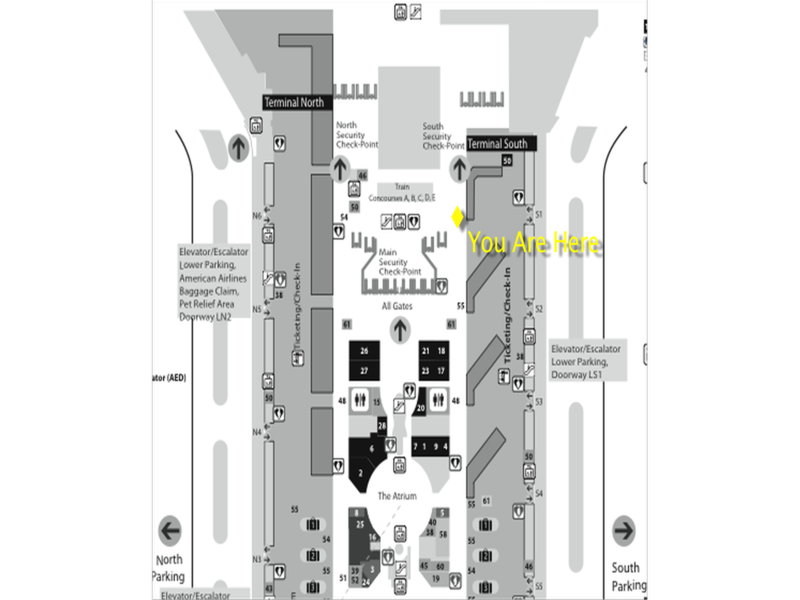 We found a spot between the Delta ticketing area and the South security checkpoint, and looked for business travelers. I ignored slow-moving groups of happy-looking people wearing t-shirts. I avoided groups with children or elderly people. I avoided groups of any kind. Groups of people love nothing more than to point and laugh when approached by strangers accessorized with TV cameras. I looked for individuals with carry-on luggage, clad in business or business-casual attire. They were abundant. Many had hard looks in their eyes, a game-face worn to bear down on airport rat-race checkpoints. Most were white men, so I made a point of approaching African Americans and women. The first moment is almost always awkward. Strangers rarely approach folks walking through airports. Unless they’ve given the camera a long look — and correctly interpreted the hungry expression on the accompanying reporter — they’re always surprised. “Hi, I’m Doug with channel 11. We’re shooting a story here today. Got a second? Do you travel much?” About half the time, the target of my inquiry brushed me off with an “I can’t” or “I’m late” or stony silence. One woman gave me an icy glance during my spiel and wordlessly ricocheted her rolling luggage into my shins. Of course, I apologized to her. She ignored that too. More records than the KGB. There were bright spots, though. Some travelers were so numb by the airport grind that they welcomed a chance to stop and chat with a benign stranger. Many of them wore a hardened look upon approach, then brightened into dude-next-door humanity when engaged in conversation. Most gave thoughtful answers based on their vast experience traveling. Most had stories about air rage. But it probably took an hour for us to get four decent interviews. No women agreed to talk, a one-day extension of a lifetime of bad luck in that department. At one point photog Mike Zakel and I agreed that I’d have been no worse off with “Hi, I’m Doug and I’d like to recruit you to join the Unification Church…” Some folks react with a look of genuine horror when a stranger abruptly approaches and asks to chat. Can’t say I really blame them. Odds are, such folks are trying to strip of them of their money or time. In the latter sense, I’m no different. This entry was posted in WXIA on June 1, 2010 by live apt fire. Therein lies the horror of the MOS interview. I once had a producer who dubbed them the “Ask Any A&*-hole” interview…or Triple-A. Nine times out of ten you find yourself spending more time explaining the premise of the story to your subject than they do answering your questions. Subject: “I’m sorry, I don’t watch the news. I don’t know what you’re talking about. It’s two, maybe three levels above panhandling. Once had to to a MOS about “family friendly” movies. Hit the parking lot at Wal-mart, and had 2 in the can when we saw two guys headed in the store that we decided we had to get. Both had parked big Harleys, and were dressed the part, chains, tats the works. If I may, either try the phrase “Those are cute shoes” or “I’m close personal friends with NeNe of Channel 11.” The “cute shoes” thing requires a bit of working knowledge as to what constitutes cute shoes. The NeNe relationship runs the risk of being ridiculed, but, then again, you were already catching that anyway. I have to also say that in my TV career, which was mostly spent in MOS Exile Hell because all the senior types (whole other pay scale) never wanted to do it, but I diverge… anyways… I too found it almost impossible to get MOS from women. They acted so silly about the whole damn thing. I guess considering that 8 out of 10 people can’t name their U.S. Senator they don’t want to appear to be clueless dumbasses. Never had a problem with men caring if they came across as clueless dumbasses in public places though. I yield to the voice of experience. Oh, bad luck old man. You need to have a cute, semi short, bearded guy with you who looks less imposing than you. Equipped with such an individual, I, in my years of trolling the airport and Wal-Mart parking lots, have had great experience with getting comments from women. Even when they tried to brush us off, we were just too small animal cute and unassuming for them to tell us where to get off. You just have to able to talk to the single weirdest group of people on earth without scaring them into silence. Speaking of profiling… I was once working on a story about a series of muggings of local university students that seemed to be targeting Arabs. My EP said I should go out to the campus and get some MOS with Arab students for reax. I said, “You want me to target people who I think look Arab in order to discuss how terrible it is to target people for looking like an Arab?” The irony was totally lost on her. When shooting the elusive female MOS I’ve found a relationship between attractiveness and willingness to talk. The better looking (or perhaps just better groomed) females are more willing to go on cam than the less attractive ones. Yes, it’s vanity profiling. But it’s a formula that I’ve found to be pretty accurate. Mr Bear – The NeNe reference is a good idea. With 11Alive turning toward inf0-tainment and away from journalism NeNe-name dropping may be the best bet!